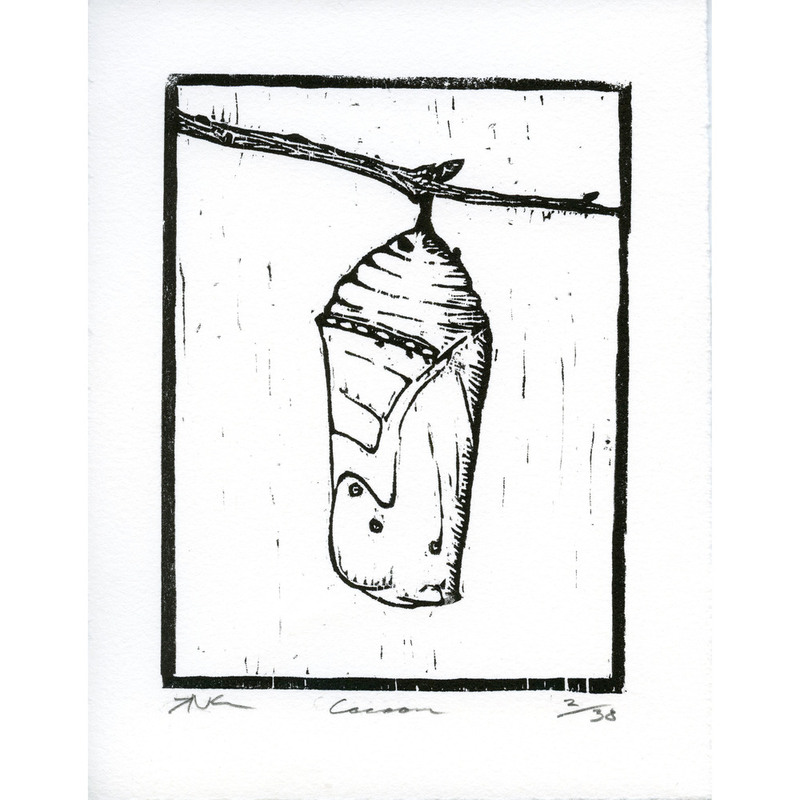 Welcome to Cocoon: Works On Paper online gallery, a site that provides an easy way to collect original art from some of your favorite artists. We focus on works on paper because we want to help people like us who are just starting our personal art collections to build a strong base of quality art. Buying an original painting on canvas or panel can be a big investment, which can be hard for students, people just starting careers, and other new collectors. Here we will exhibit works on paper, like drawings and woodcut multiples. These are typically less expensive, but even an experienced collector knows they make great additions to any art collection. We hope that-- like a cocoon turns a little caterpillar into a beautiful butterfly-- this site can help turn novices into confident art collectors. We have the art from Andrew Ballstaedt and Brian Kershisnik up and ready to be seen! This is the work that will be available at our open house on Monday the 3rd. The event will be held at 68 North 500 East in Provo from 7 pm until 9pm. Come meet the artists and buy some art! Light refreshments will be served. Noah Kershisnik did a limited edition woodcut for the grand opening of the site. Click the image below for more information. To learn more about the process of making a woodcut, click here.